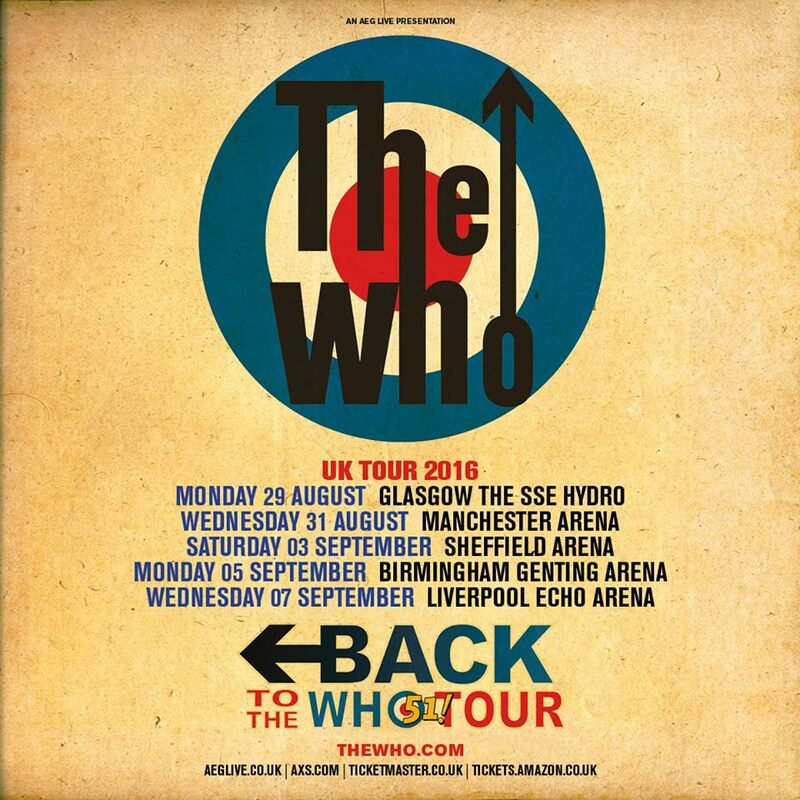 Back Out Supporting THE WHO for their 2016 UK Tour Dates !!!!! OK you guys! Here’s some very large and exciting news! Back in late 2014 we were unbelievably lucky enough to support some long time heroes of ours playing in some of the largest arenas in the UK. Those heroes are one of the truly great bands of all time, The Who. It was a complete dream opportunity that we will never forget. The stuff our wildest dreams are made of. Well, we can now reveal our news to you. We are truly ecstatic to tell you that in August and September we will be back out supporting that very same band again on their 5 UK dates this year!!!!! You want to come?? YES!! OF COURSE YOU DO!!!! We never once saw this happening again and we are OVER THE MOON!!! Also, it’s going to be so ace to play to some of you that we met on the 2014 tour again!!!! We would like to take this opportunity to say a huge thank you to The Who and their management for having a little band like us tag along yet again for what we know will be a huge huge experience for us. Also, big shout out to our manager Lisa, as this wouldn’t be possible without her. Really can’t believe that this is happening again! LONG LOST LOVE IS OUT!!!!!!!! Well, the new album ‘Long Lost Love’ is now out in the world! We’ve had a great week so far with two great launch parties in Tunbridge Wells and London, and a lot of lovely comments from you all. Thanks so much to all those who came out to join in the fun with us. Absolutely amazing! Tunbridge Wells was a sell out!!! The kind people at the Tunbridge Wells Forum filmed the whole of the show, and you can watch it back via this link! Big thank you to all that have bought the CD/DL or listened on Spotify. Any favourite tracks? Don’t forget, if you haven’t purchased a copy yet, it’s available in your local HMV and your local independent record stores. 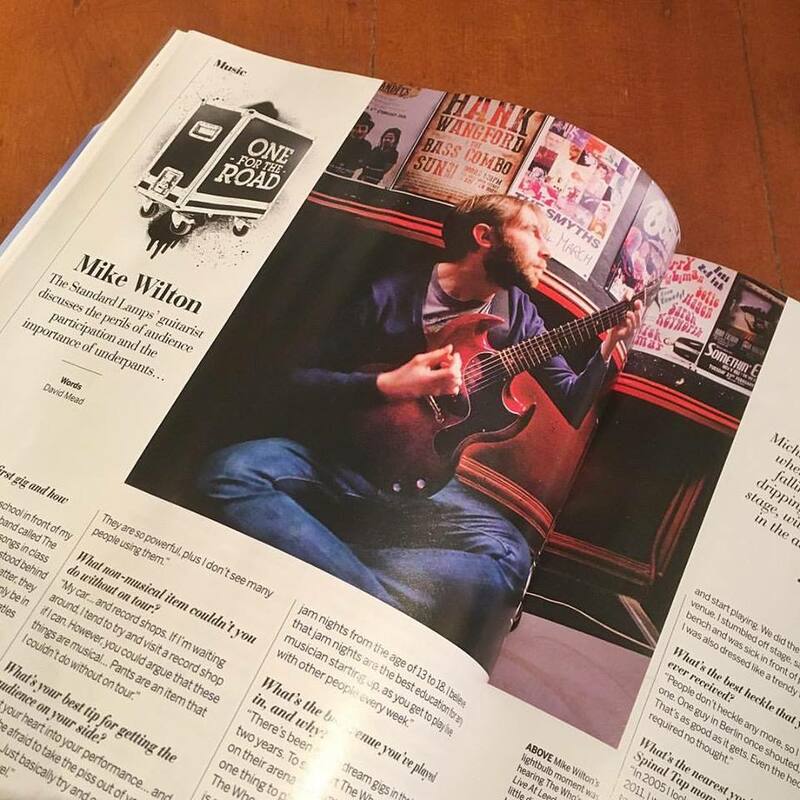 Mike was featured in this months Guitarist magazine, telling tails of life on the road and underpants! We’re back out for more shows in May and are planning a jaunt to see as many of you as possible later in the year. We’ve been out with The Bluetones recently and we are back out with them on the 5th of May at the London Roundhouse!!!! A gig not to be missed!!! In the meantime, thanks for the support you guys and really hope you like the new album! NEW ALBUM ‘LONG LOST LOVE’ COMING! AVAILABLE ON CD/DL 22nd APRIL 2016!!!! We are over the moon to announce that April the 22nd will see the release of our SECOND ALBUM entitled ‘Long Lost Love’ released on Right Track Records /Universal! It’s taken a while, but we are thrilled with the finished product and we really can’t for you to hear it! Some of you will recoginse a few of the songs from our live shows and from the previous Mono EP (which are now in STEREO. WOW!). The album has been mixed by producer / engineer Sean Genockey (who has worked with The Who, Manics, Suede, to name a few). Theme wise – this album is more an ode to growing up, dead end jobs and small English town life. It’s a kind of love letter to a time when you are trying to find out who you are, where you are at and where you are going. We really hope you like the new album!!!!! FEELS SO GOOD TO TELL YOU THIS!!!! 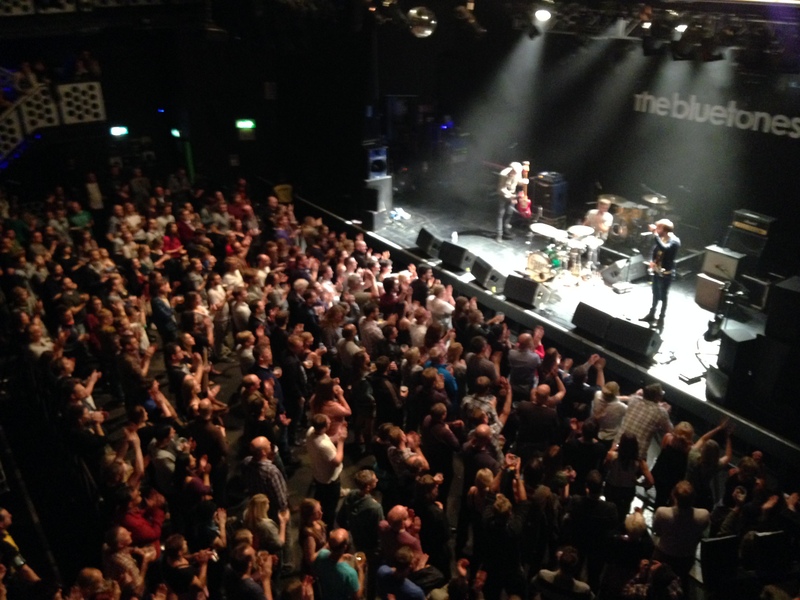 Well, a couple of weeks ago saw the end of the tour supporting The Bluetones. 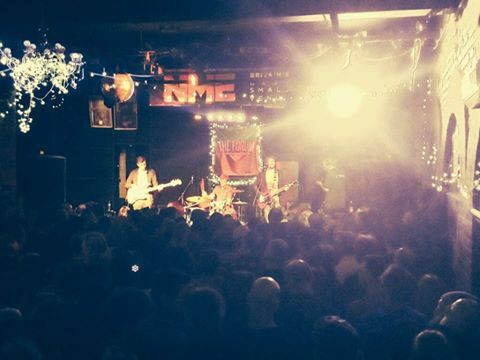 Bristol was the perfect way to end, thanks to all that were there and being very Rock N Roll on a Sunday night! T’was really quite quite ace. Wanna say a big big thanks to Mark, Adam, Scott, Alex and Eds. It’s been a real pleasure to play for you guys and it’s been great watching you night after night. Most of all, thanks for taking a punt on a lil unsigned band like us. Also, big thanks to all the crew/associates (Helen, Andy, Jimmy The Lips, Woz, Mark to name a few). Been a large pleasure to spend the days and nights with you. Big up’s to Lamps gal Elle for providing the pics and tour social media. Biggest of all. Thanks to you guys who came to the shows. Had a lot of lovely messages from you guys. Especially those who bought a ticket to see us. Mind blowing. Don’t Be Blue, Join Us In September! Hey hey everyone! Hope all’s good and enjoying the mixture of sun/rain/wind. We are over the moon to announce that this September, we will be out supporting The Bluetones on their 20th anniversary tour!!!! We are absolutely thrilled to be supporting these legends, and it’s a golden opportunity to catch up with some of you since our tour last year with The Who! This is going to be so much fun! We would like to say thank you to The Bluetones and, in particular, Mark Morriss for giving us this great oppprtunity. HOPE TO SEE YOU THERE!!! Also, on the 26th of this month, we’ll be playing at British Summertime (Hyde Park) with The Who again!!!! Get your tickets quick as these have sold very well!! Have fun everyone! Hope to see you on The Bluetones tour! Well, after a little while in the can, we are proud to present our new EP ‘Mono’ to you! 5 brand new tracks mixed in Mono just to be a bit different! You can listen to/buy the EP via our bandcamp page. Hope you like it! Also BIG NEWS! We are completely over the moon to announce that on the 26th of June we’ll be back supporting THE WHO at HYDE PARK!!!!! WOW!!!!!!!! We are so looking forward to this one and you can get yer tickets via this link. Hope to see you there! CAN’T WAIT! That’s all folks. Have fun and we hope to see you soon! Well! You get good years and bad years. 2014 has been quite exceptional for us! Started it off with Wilko Johnson at the Tun Wells Forum, from that we met our manager Lisa and she got us the gig of a lifetime playing at Shepherds Bush Empire playing with Wilko and Roger Daltrey! We had some great supports with Mark Morriss, Norman Watt-Roy and Tom Williams and The Boat, all of which have looked after us for quite some time – we salute you. Local and Live was fantastic this year! Our debut album ‘Sell Everything You Own’ got a re-release and now sounds the way it should! Here it is to listen to on YouTube, hope you enjoy it! We’ve played a lot of places that we’ve never played before and did a two night stand with The Blockheads at the Jazz Cafe! And to top it off, we supported The Who on 4 dates of their UK tour! The band who have shaped this band so much! The support from these shows was incredible and we are pleased to spread the word to so many people…still cant believe it! 2014 really has been a top year for us! Most of all though, we thank you lot who have stuck with us over the last 4 years and to all the people who’ve got on board with the band by buying a ticket, CD, download, signed up to the newsletter, given us a gig and spreaded the word. Without you lot, it doesn’t happen! It’s going to be a hard one to beat, but we’ll keep going for it! Have a top 2015 everyone! We leave you with a highlight. Three songs from our gig with The Who at Leeds!! !